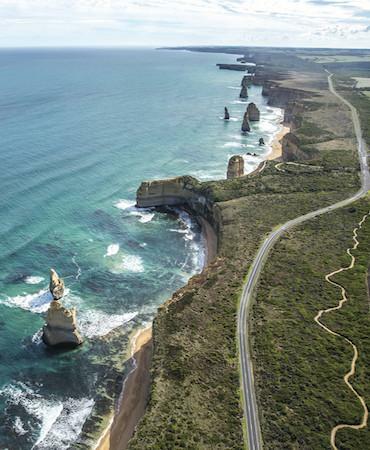 Victoria's Great Ocean Road is a spectacularly scenographic stretch of road that spans a distance of 243 kilometres. An Australian National Heritage listed road, it was built from 1919 to 1932 as a memorial of WW1. Phillip Island is a must-see Melbourne day trip destination that's world-famous for its remarkable Penguin Parade. Attracting scores of visitors, the Penguin Parade is Phillip Island's major drawcard, but that's not all it has to offer. 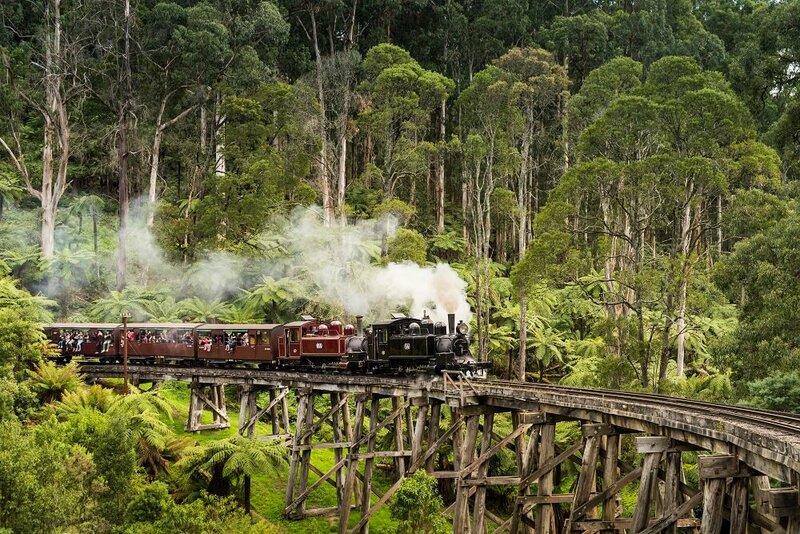 Puffing Billy is Australia’s favourite steam train and is one of the finest preserved steam railways in the world. This century old steam train is still running on its original mountain track through the beautiful forests. 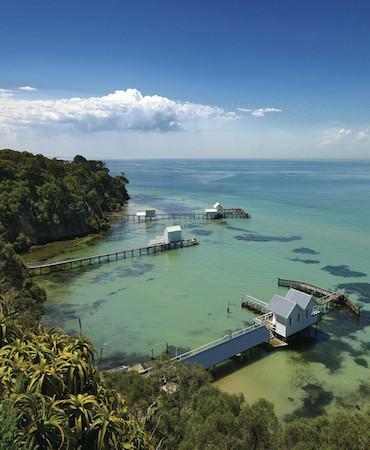 The Mornington Peninsula has been a captivating visitor experience for more than 100 years. Attracted by the gentle hills, sparkling bay beaches and stunning coastal scenery, everyone flocks to the peninsula for a break. Match the Yarra Valley's fine wines with equally fine foods and an impressive array of fresh seasonal produce direct from the farms in the stunning Yarra Valley and Dandenong Ranges. 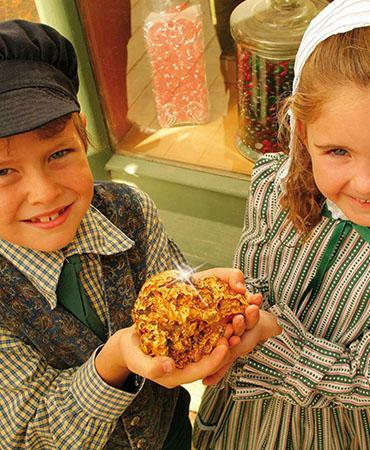 Sovereign Hill is located just outside the City Centre of Victoria's largest inland city Ballarat, a city that is a thriving hub of contemporary arts and with a fascinating heritage backdrop. Mount Buller is one of Australia's most beautiful and scenic ski resorts. No matter your level of experience, Mount Buller has exciting slopes for all snow lovers. So gear-up and discover the magic of Victoria's Mount Buller. 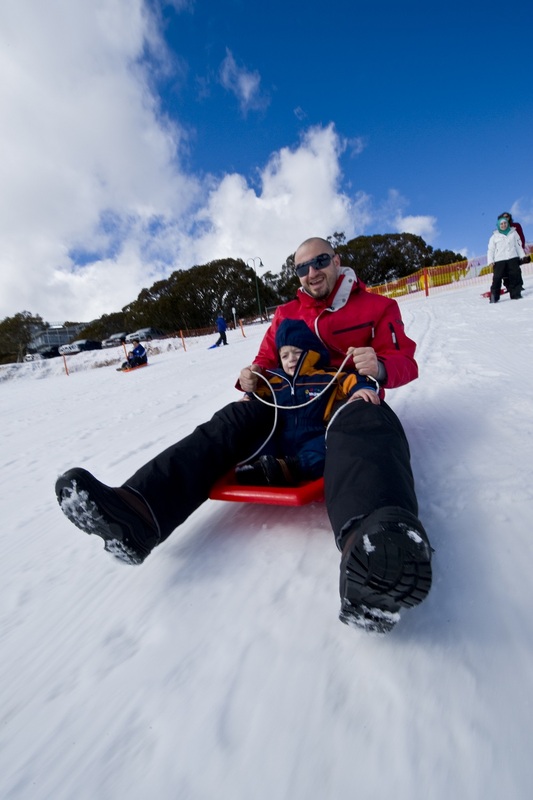 Enjoy a fun day in the snow at Lake Mountain, just 2 hours from Melbourne. 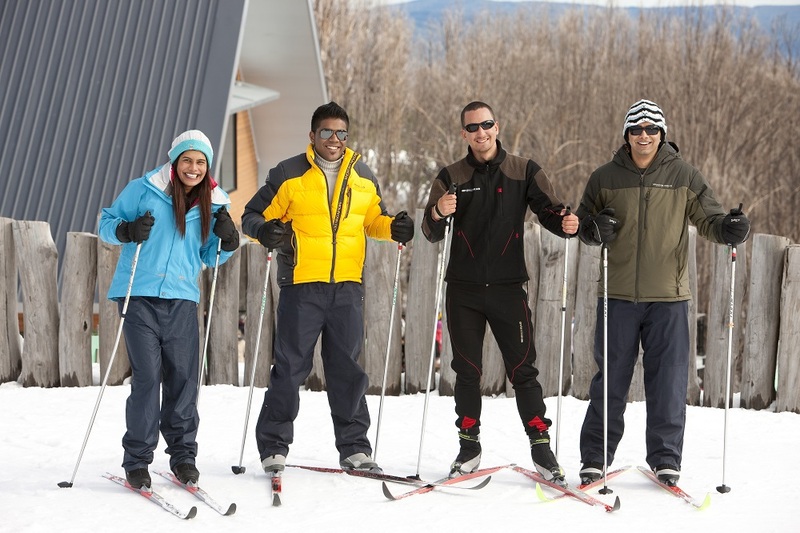 Lake Mountain is the perfect option for first-timers to the snow, with plenty of activities on offer including toboggan slopes and cross-country skiing. 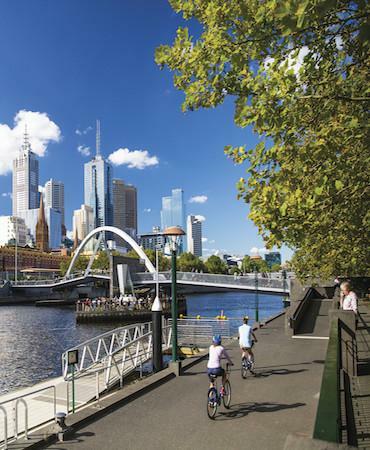 Melbourne has vibrant cafes, cosmopolitan restaurants, parklands and beautiful waterways as features. Its wonderful blend of architectural heritage, modern and contemporary design make of this city Australia's artistic and cultural capital. Arguably Australia’s artistic and cultural capital, the city of Melbourne boasts a range of sightseeing and activities and due to its location at one of the most southern points of the country, it’s also situated close to a number of exciting day trip destinations. 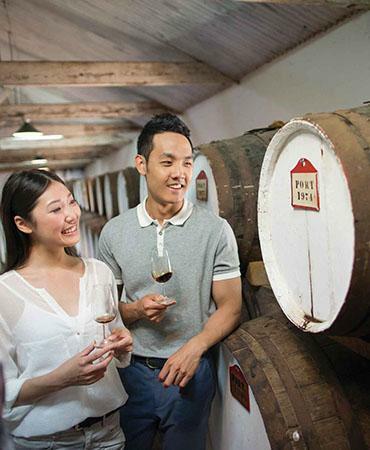 Melbourne offers something for everyone, from wine aficionados to wildlife lovers. If you’re on the lookout for Melbourne day trips, Last Minute Day Tours offers a range of exciting discounted day tours in Melbourne to choose from. One popular Melbourne one day tour destination is the remarkable Grampians National Park. Home to a spectacular mountain range, gorgeous greenery, and plenty of native wildlife, this is a must-see highlight on Melbourne tours. Led by an experienced and knowledgeable guide, you’ll enjoy stunning views from the Reeds or Boroka Lookout, experience Aboriginal culture, and hike scenic trails. 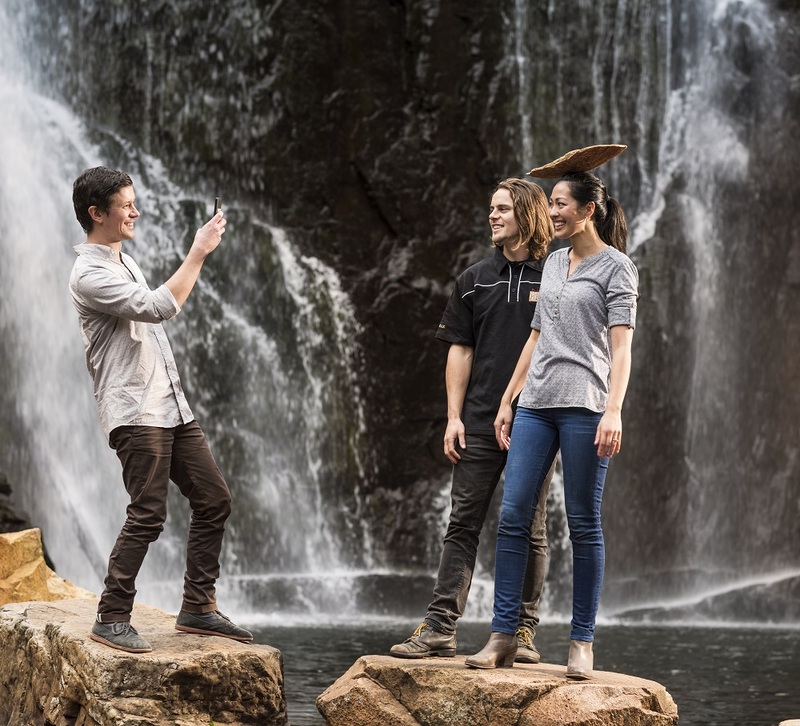 Morning tea, lunch and national park entry fees are covered, and for those who want to experience a close encounter with Australian wildlife, the region is teeming with kangaroos and native birds that can be seen on our Melbourne day tours. A Phillip Island day trip from Melbourne is an unforgettable experience that involves heading down to Phillip Island to witness the renowned Penguin Parade — as well as seeing some other exciting wildlife along the way (depending on the Melbourne tour you choose). 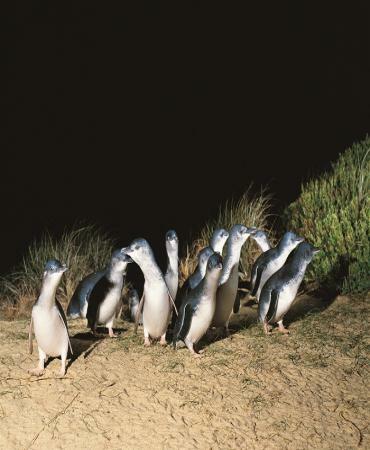 The main event involves staking out a spot on the beach to watch as hundreds of Little Penguins appear in the surf and begin to make their way up the beach and into the sand dunes. The Great Ocean Road and the Twelve Apostles are icons of Victoria and a must do for any visitor to Melbourne. Starting from Torquay, the road hugs the coast taking you through the spectacular scenery of the Surf Coast, Otway Rainforest and the Shipwreck Coast. Keep your eye out for Australia’s unique wildlife, including kangaroos, koalas and emus, as you pass pristine beaches and picturesque rural landscapes. All our Great Ocean Road tours will take you to visit the world-famous Twelve Apostles, where you will be amazed by the power of time and the ocean in shaping this incredible coastline. A city sightseeing tour of Melbourne is a great way to see the city’s many highlights! Depending on the Melbourne day trip tour you choose, highlights include a scenic cruise on the city’s prominent Yarra River, a coach tour that showcases the town’s historic landmarks, and a delicious dinner aboard the Colonial Tramcar Restaurant (only included on select Melbourne day tours). To take in all of the city’s exciting highlights, or to enjoy an unforgettable out of town experience, book online now for great Melbourne day tour deals. For more information on any last minute Melbourne tour, you can also call us on 1300 24 24 88.